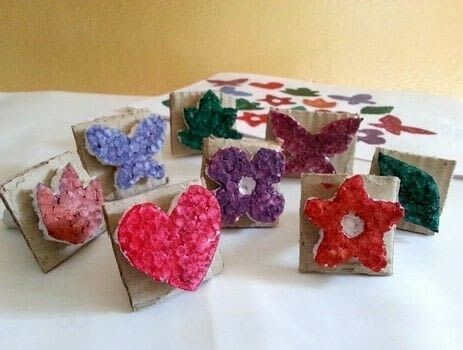 Here's another cheap and easy way to make stamps. Check out the tutorial. 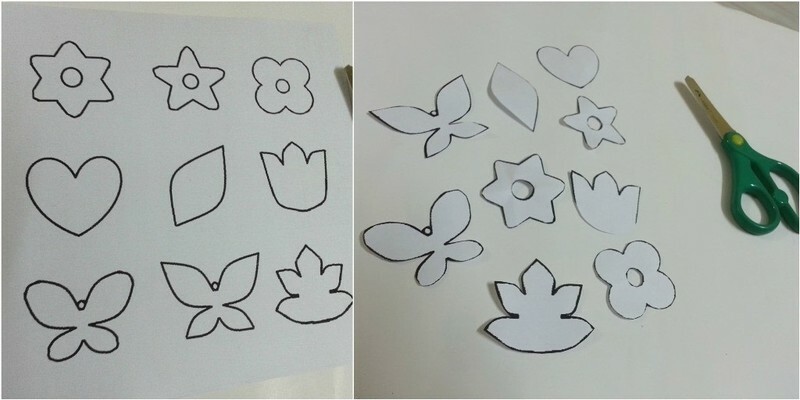 Print and cut out simple shape or pattern templates. 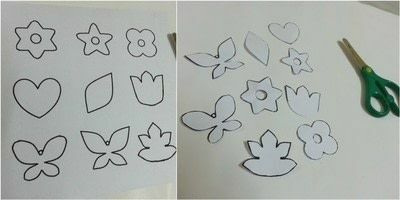 Place the cutout paper patterns on the styrofoam sheet and trace around the edges with a pen or pencil. 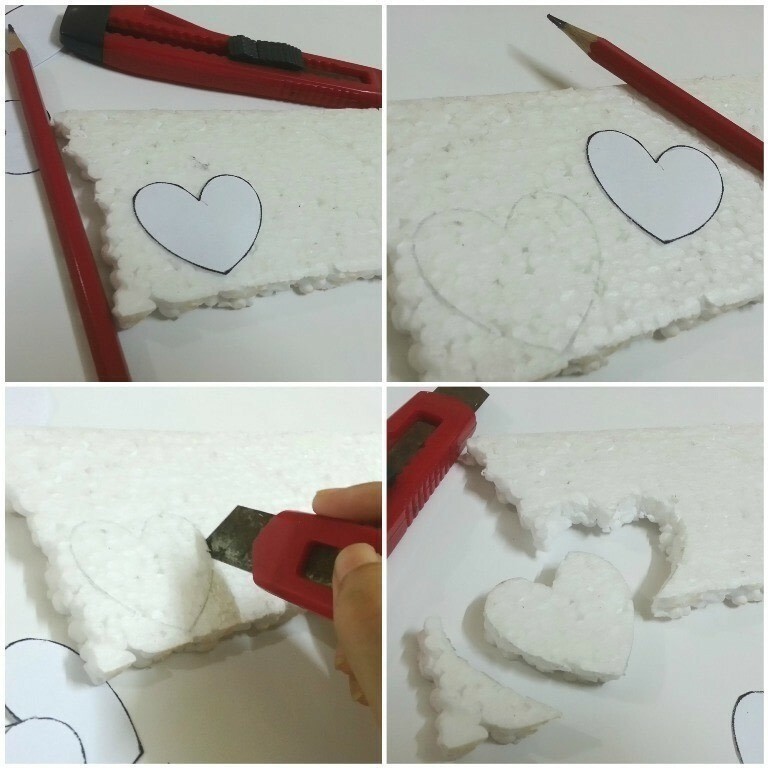 Use an x-acto knife to cut the patterns out of the styrofoam sheet. Be careful, styrofoam sheets break into small pieces very easily. 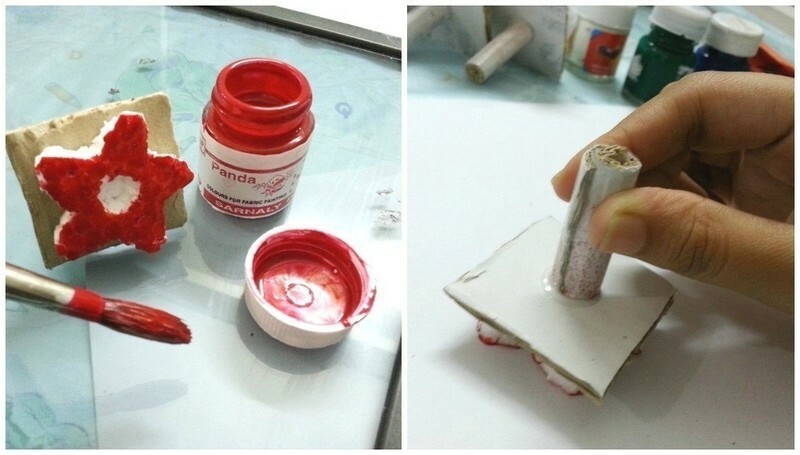 Take a small piece of cardboard to make the handle, I used a 2 X 1.5 inch cardboard piece to make the stamp handle. 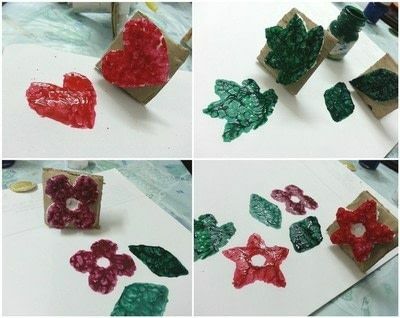 Now roll the cardboard piece as shown in the picture and glue the sides (I used clear scotch tape). Now simply attach the handle on the back side of the stamp (cardboard) using glue (hot glue or white glue). 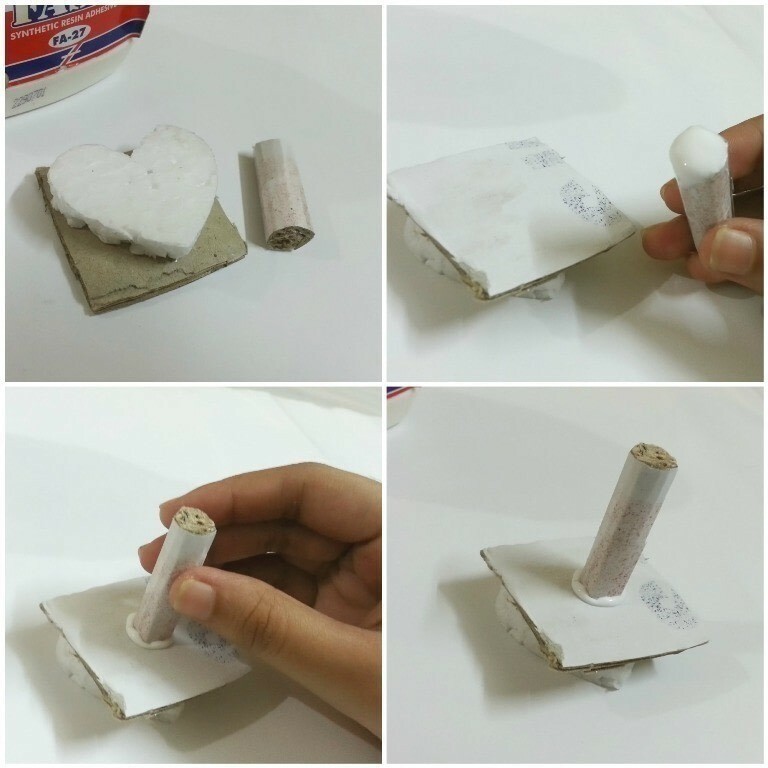 Wait till the glue dries. I used fabric paint for stamping. It's better to brush fabric paint on the styrofoam stamps and make sure to spread the paint evenly over it. Now stamp and press the stamp softly. 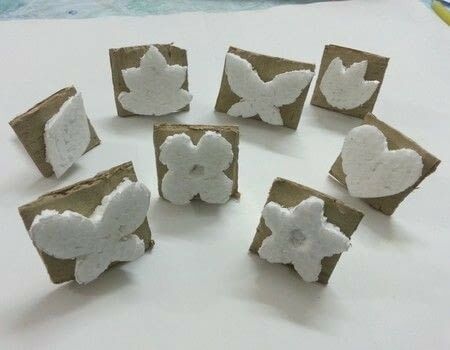 These styrofoam stamps give a cool smudgy look , you'll love it. 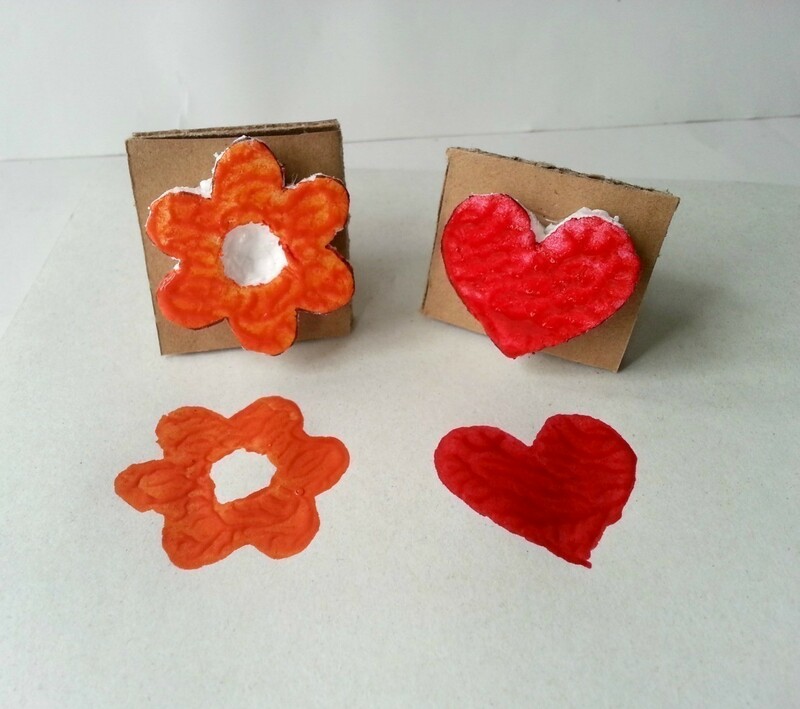 Use them for scrap-booking or for making greeting cards, They're sooo easy to make and fun to use!